Above the mantle, make sure your art is large enough, and unique. It’s fine to use a mirror above the mantle as long as the reflection is something attractive (like the reflection of outdoor trees). 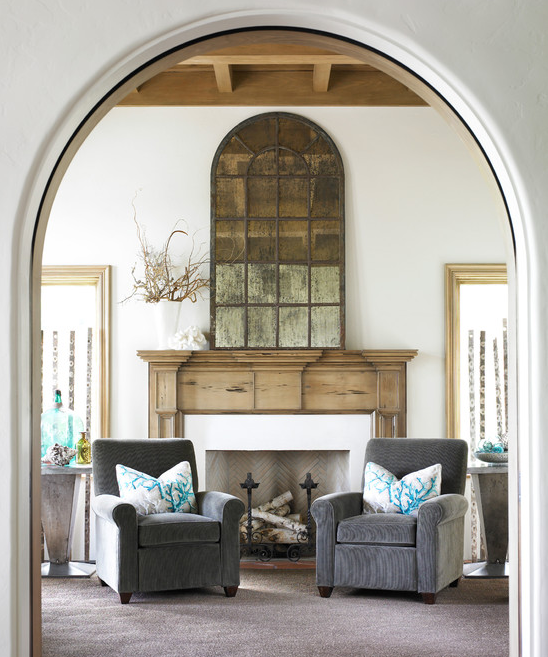 The antique glass mirror shown below is nice, because you aren’t fixated on the reflection. 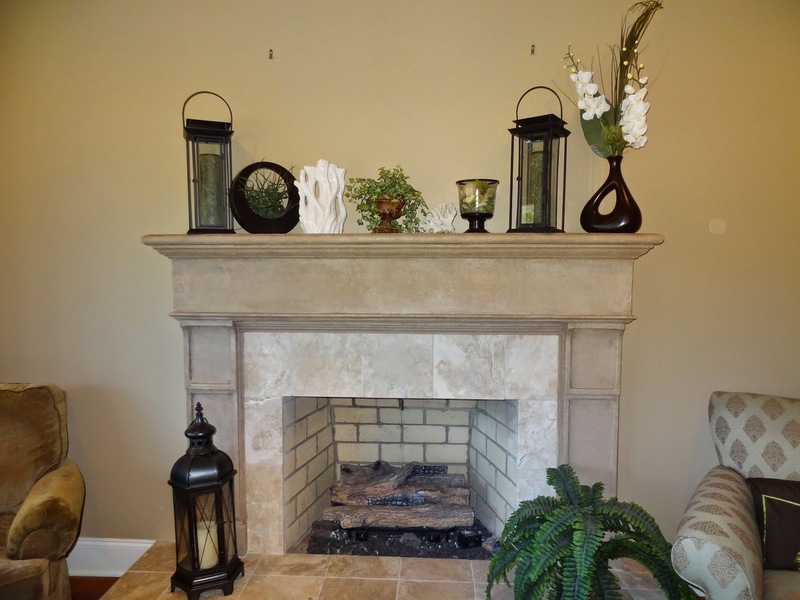 Or, If you don’t have a mantle, create another focal point. See the abstract art below, centered between two very traditional Chippendale chairs and a mahogany table. Below is a mirror over the mantle, since the reflection or view wasn’t attractive, an antique mirror was used instead of a regular mirror. 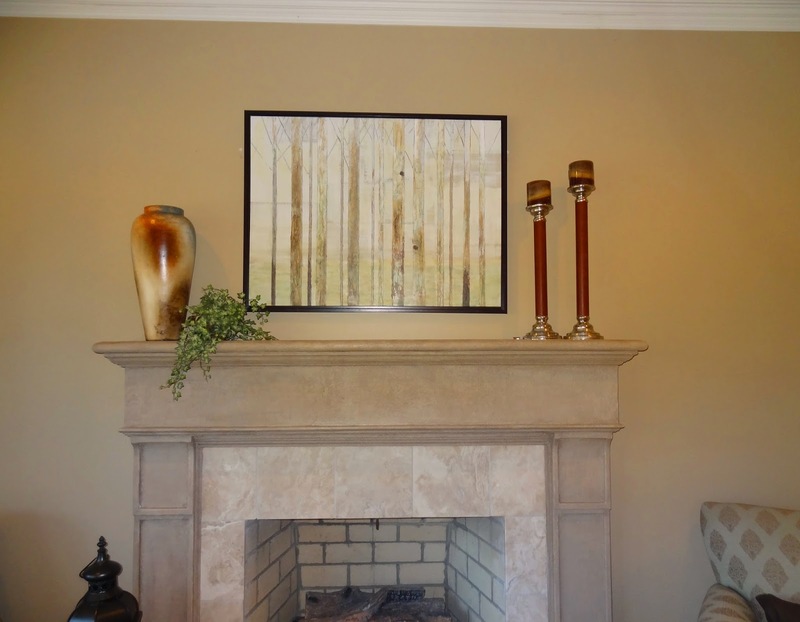 Abstract or transitional art above the mantle will make a traditional room seem fresh and updated. Notice the colorful art (below). 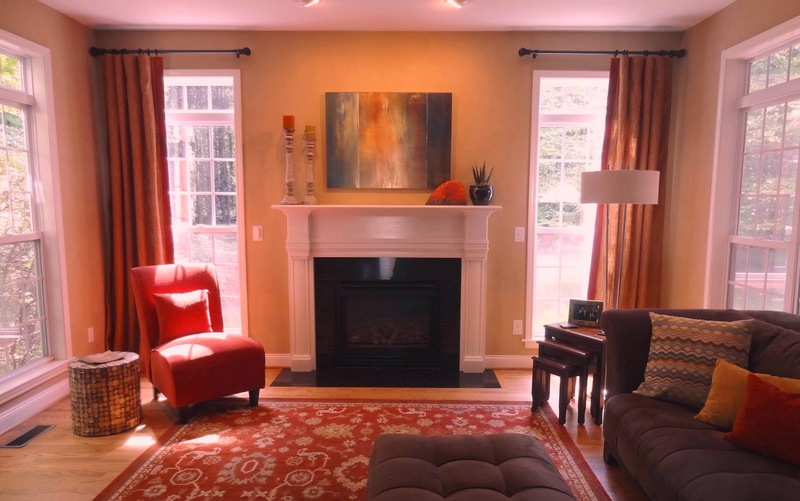 Our custom made drapes, updated art, end table, & accessories gave the room a fresh new look. Also notice the difference our stainless floor lamp & pillows made! The mantle had numerous small accessories. With small art, did not feel as large. Our drapes also made it feel bigger. You’re now able to notice the beauty of the mantle, with 3 large accessories instead of 8 small ones. Comments? We love to get your feedback! Just click the word comment below…. What color should I paint the trim and below the chair rail molding? What type blind is best for a high end designer look? See these linen shades and sheer options.